Facebook announced today (2/25/14) that they are changing their news feed algorithm for pages. What used to be known as Edge Rank had marketers very upset. The statistic was that only 16% of page fans would see a post. This announcement will hopefully turn those marketing frowns around. Facebook explains it as “a new way for people to discover conversations around topics they’ve expressed interest in.” When a page tags another page, fans of the tagged page are likely to see the post, even if they are not a fan of the page. 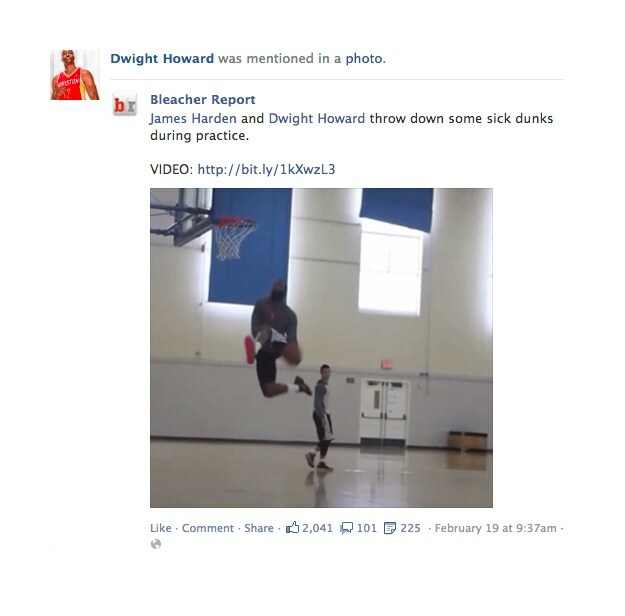 In the example post above, fans of James Harden and Dwight Howard may see the post from Bleacher Report, even though they do not like Bleacher Report. This will function the same way as when a friend tags me in a photo. My friends may see the photo even if they aren’t friends with the person who tagged me. How well will this new algorithm will work? Will Facebook Insights tell you how many fans of the other page saw your post? Will this only work well for larger brands? @Socially_Gold huge! potential for abuse is high, tho, as @sirenel pointed out to me today. you? 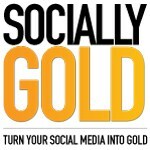 @Socially_Gold @miriamjayne It might also encourage coordination/ communication big companies/ orgs. The jury is still out as to whether or not this will help brands and/or hurt the user experience with spammy posts. Share your thoughts in the comments below.